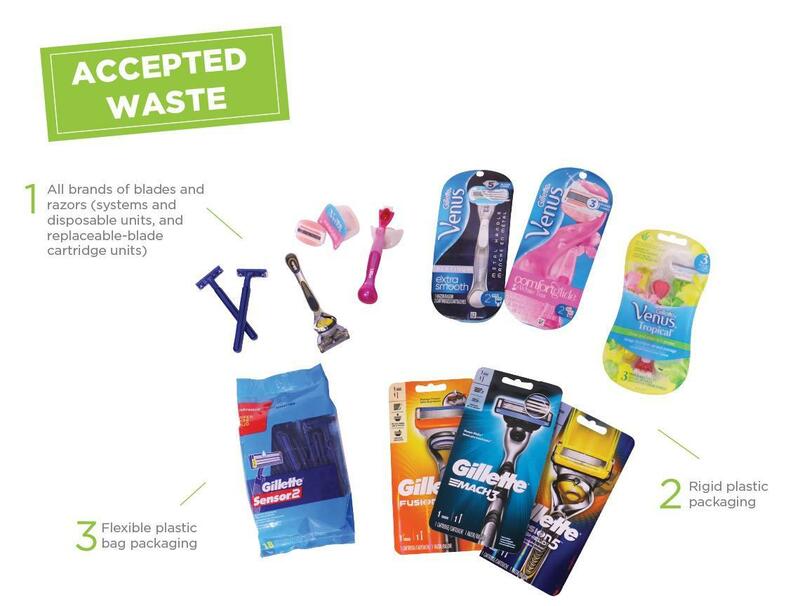 Recycle all brands of blades and razors through this program. TerraCycle® and Gillette® have partnered to make razors recyclable nationwide. Join the program by clicking at the top of this page. When you are ready to ship us your waste, click above to download a TerraCycle tracking label. Affix your TerraCycle tracking label to your package and bring it to your preferred mail carrier to ship at your cost. Sign up to become a public drop-off point for the Gillette Razor Recycling Program and help us build our national recycling network! Businesses, colleges, cities, and community organizations can sign up here to become a local recycling solution. If you become a local recycling solution for this program, individuals will be able to drop off their collections with you. Local recycling solutions will be able to ship the waste that their locations collect to TerraCycle for free. Additionally, you can earn TerraCycle points for your shipments as a public drop-off point. Click here to become a local recycling solution for this program. COMING SOON: Stay tuned for an interactive map of public locations where you will be able to drop off your collections! Program accepted waste: All brands of blades and razors (systems and disposable units, and replaceable-blade cartridge units), rigid plastic packaging, and flexible plastic bag packaging. If you choose to rinse your product, please note that it must be completely dry prior to shipping. You cannot ship dripping packages. Once collected, the waste is broken down and separated by material. Plastics are cleaned and pelletized to be recycled into new products, such as picnic tables and park benches. Metal materials are sent for smelting and conversion to new alloys. 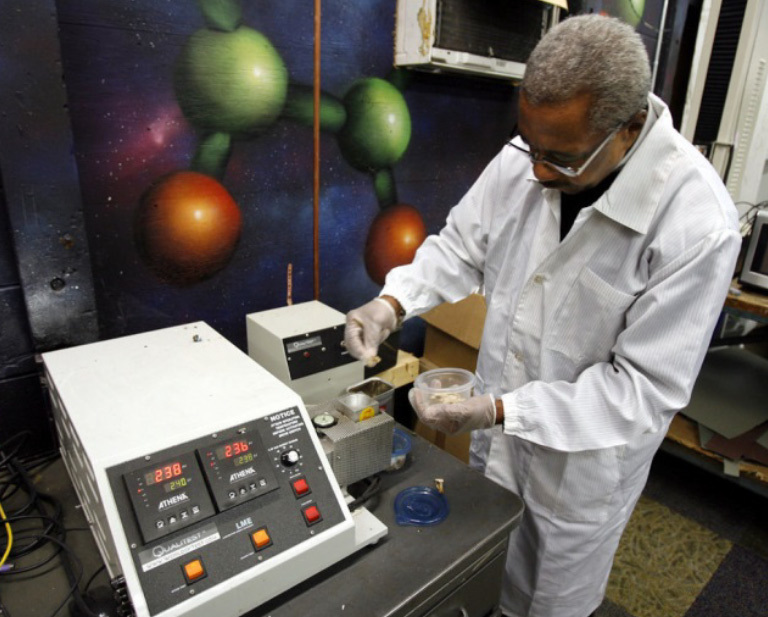 Click here to learn more about TerraCycle's recycling process.